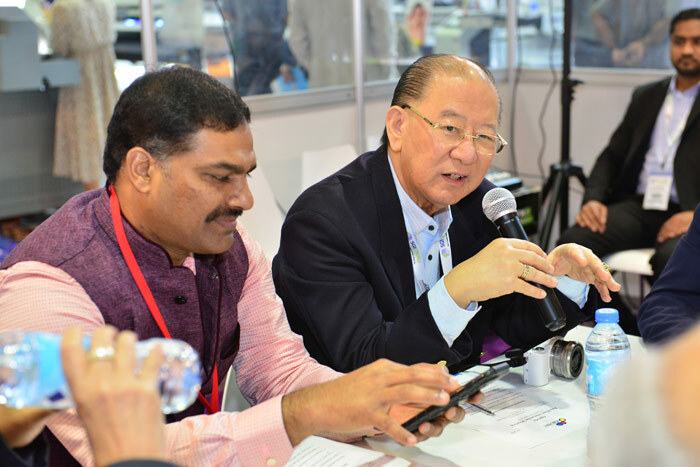 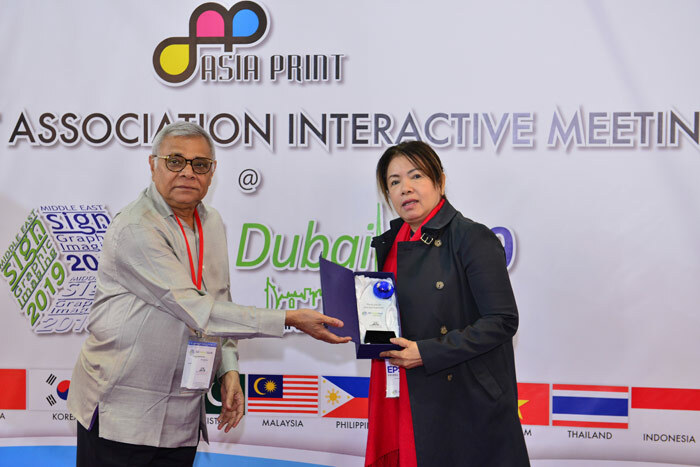 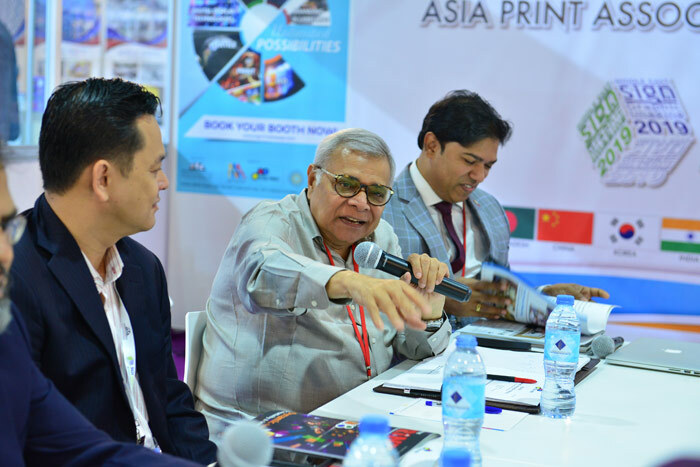 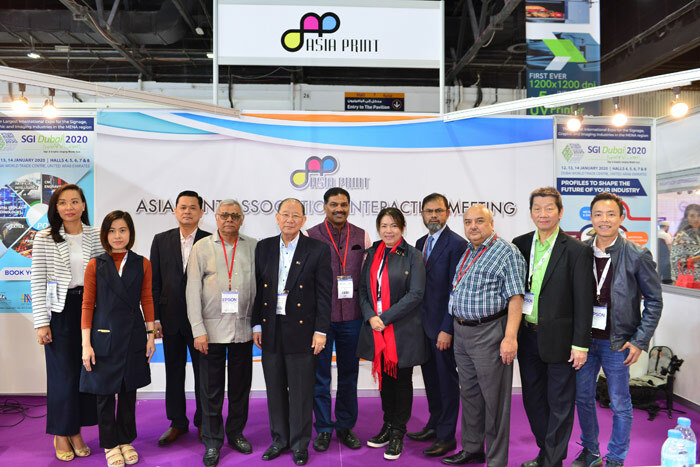 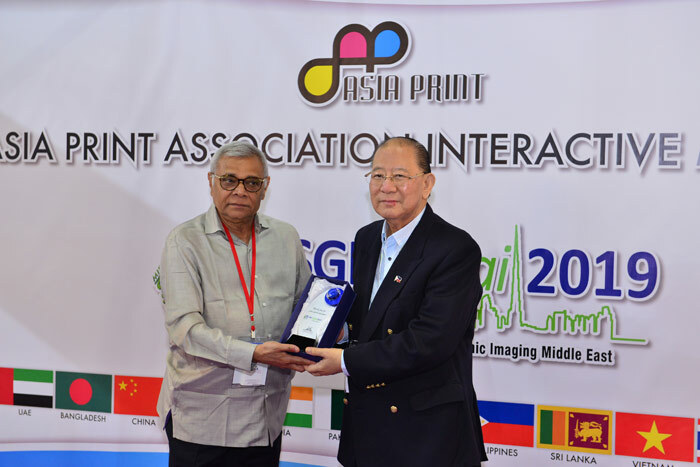 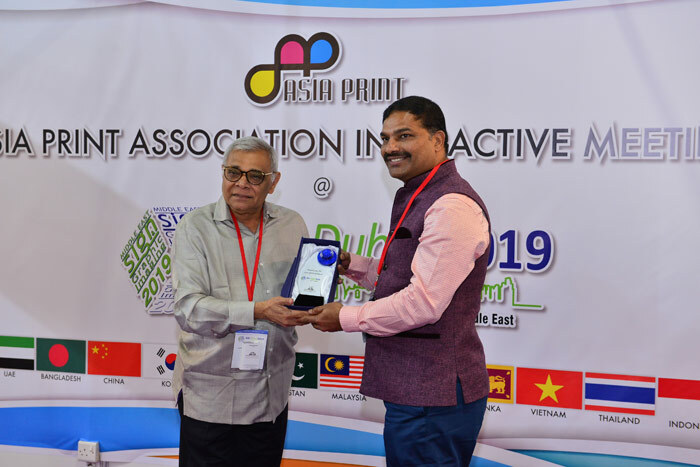 SGI Dubai 2019, hosted the members of he Asia Print. 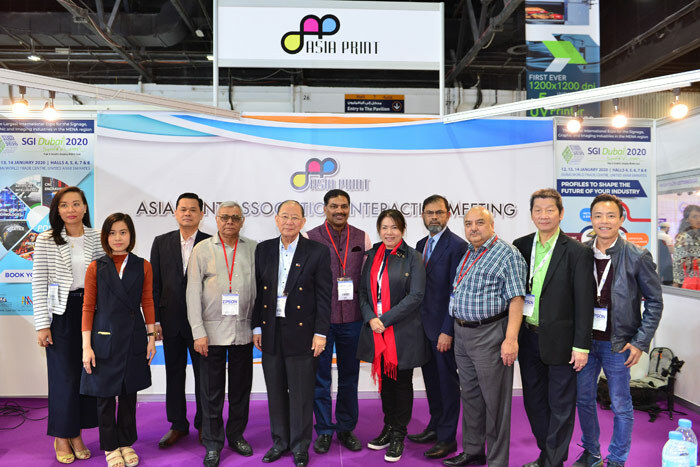 Members from India, Malaysia, Philippines, Thailand, Vietnam and Pakistan. 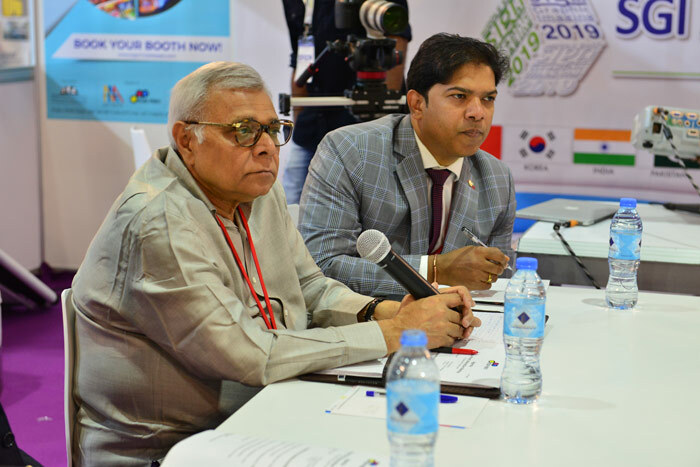 President of the Association Mr. Dayaker Reddy led the meeting and discussed the way forward for the association. 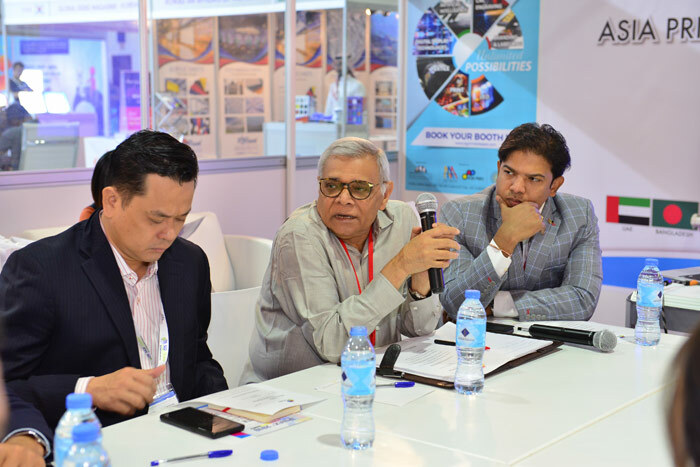 Mr.Sharif Rahman, CEO of IEC shared his viewpoints on the local industry and also encouraged the members to collectively work towards a common goal. 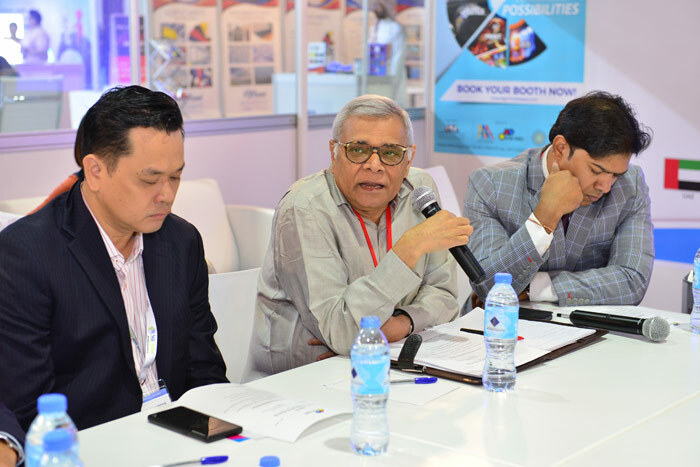 IEC made a presentation to the members on the potential of Dubai' EXPO 2020 vision and how it will impact the organisations within the member countries. 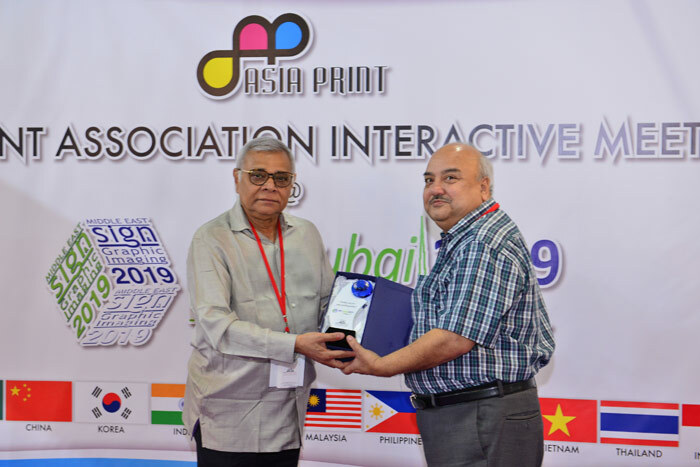 At the close of the session, all the members were awarded momentos by IEC for the excellent work that the members are doing to take the organisation to the next level.